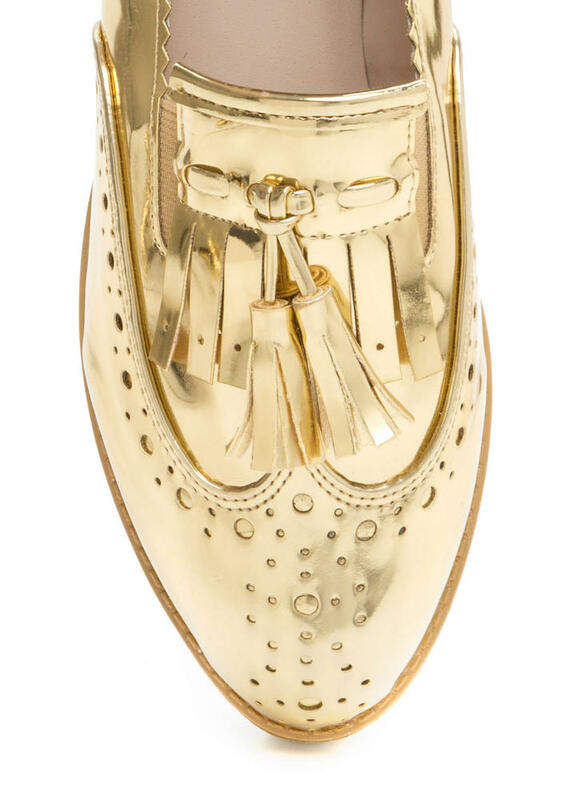 We borrowed this OG shoe style from the boys, but gave it a glitzy and chic makeover! 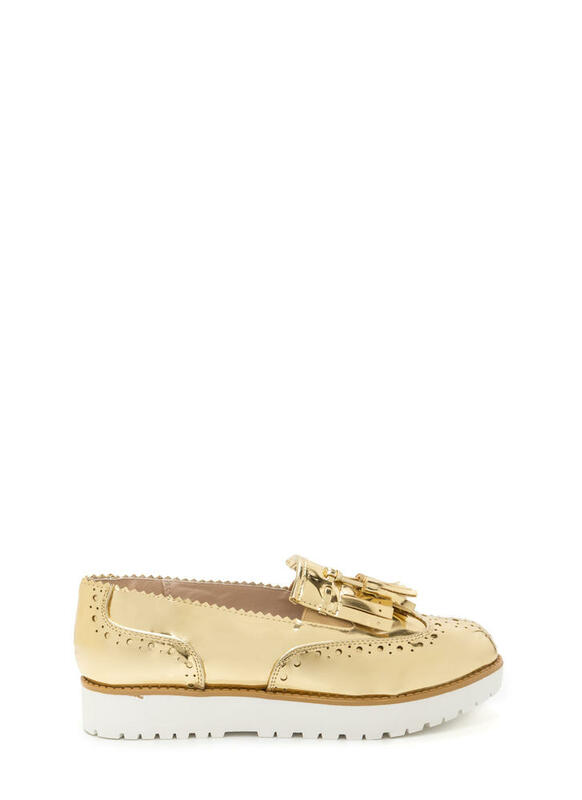 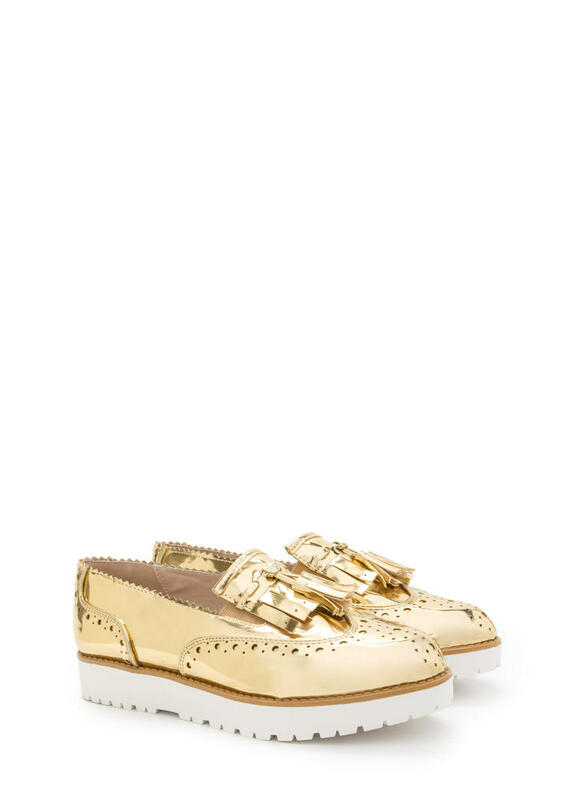 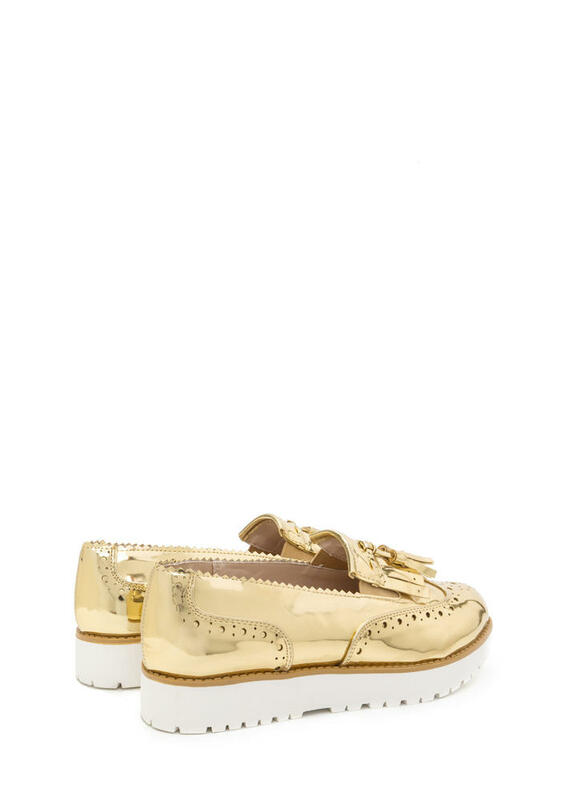 Shiny metallic loafers feature perforated brogue-inspired borders, zigzag trim, a fringed accent, and two short tassels. 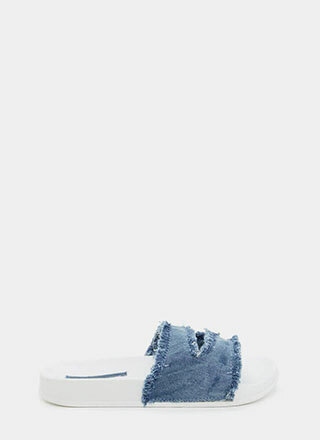 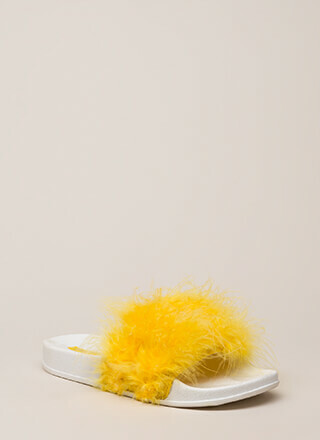 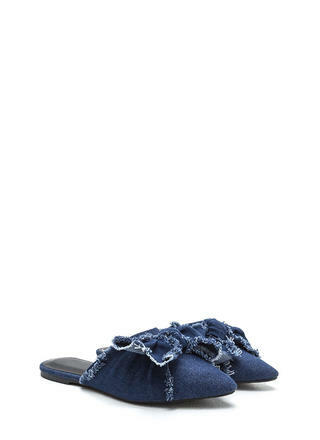 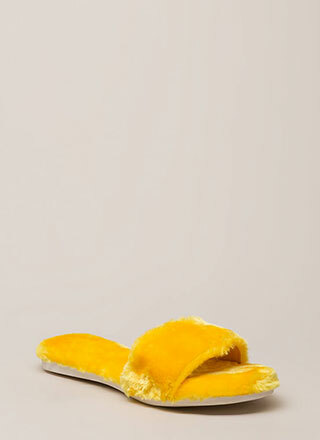 Slip-on flats are finished with a subtly elevated flatform and a rugged lug sole.